Advances in the field of nanotechnology have led to the development of miniaturized devices called lab-on-a-chip (LOC). Lithography, in particular, has helped create nanoscale impressions on the surface of metals and semiconductors. LOC technology is concerned with laboratory experiments carried out on a very small scale. It can integrate several laboratory functions on a chip of size ranging from a few millimeters to a few square centimeters. This helps achieve high-throughput screening and automation. LOC technology enables the use of small fluid volumes which helps cut costs and the analysis of reagents and response time. It also allows greater control over sample concentrations as well as interactions to reduce the quantity of chemical waste. This technology can aid the development of highly compact systems through mass production. However, LOC is an emerging technology and has a few disadvantages. The physical and chemical effects such as surface roughness, capillary forces, and chemical interactions between materials are more significant at the microscale level. This can often result in complications during LOC experiments which would not be expected with traditional lab equipment. The principles of detection might not always be in agreement with microscale dynamics and this can result in a low signal-to-noise ratio. Most of the research on LOC technology so far has focused on its applications in the field of diagnostics such as its use in diagnostic devices in medical offices or at sites that have limited or no access to laboratory facilities. Several applications in life science and medicine have also been explored so far including potential use in protein crystallization studies and DNA or RNA sequencing. Customized synthesis of radioactively labeled chemical compounds for use in techniques such as positron emission tomography has also been studied. It has been demonstrated that sample sizes as compact as a single cell can be used in LOC experiments. Engineers at Rutgers University have recently developed a novel device based on LOC technology. According to the developers, this device can significantly cut costs related to lab tests for diseases such as HIV, syphilis, and Lyme disease. The breakthrough device is said to exploit the ability of LOC systems to use minute amounts of fluid for biochemical assays. 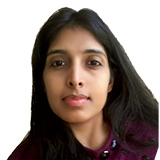 This would be beneficial as such assays usually require large volumes of blood or other samples and costly chemical reagents and hence are very expensive. The new LOC device employs microfluidics technology and makes these lab tests more affordable for researchers as well as patients. This breakthrough could go a long way in promoting new research due to its capability to carry out complex biochemical analyses using only 10 percent of sample volumes than is needed for traditional tests. The device also automates most of the skilled labor involved in carrying out these tests in the lab while providing accurate and sensitive results. This could open up more avenues for research on central nervous system disorders such as Parkinson’s disease, as these studies are currently limited by the low volume of cerebrospinal fluid that researchers can extract to perform traditional assays. 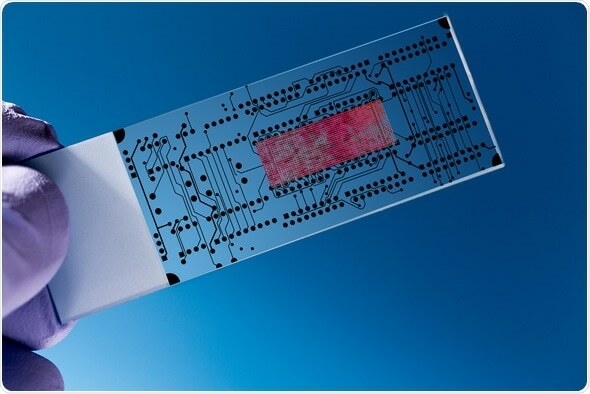 Although the advent of microfluidics triggered a lot of excitement, very few LOC-based devices have been successfully produced as there are a lot of challenges faced in the commercialization of this technology. Therefore, despite successful demonstration of several theoretical models and proof-of-concept studies on LOC, only a few LOC-based systems for practical use have actually been introduced into the market. Though many research groups and startup companies have developed potentially transformative methods for fluid delivery and control, and signal detection, these integrated techniques have only been useful for short-term research - they have not directly been integrated in real-world products for practical use yet. The need of the hour would be to strike a balance between the design and real-world impact of integrated devices.